We take pride in great service. 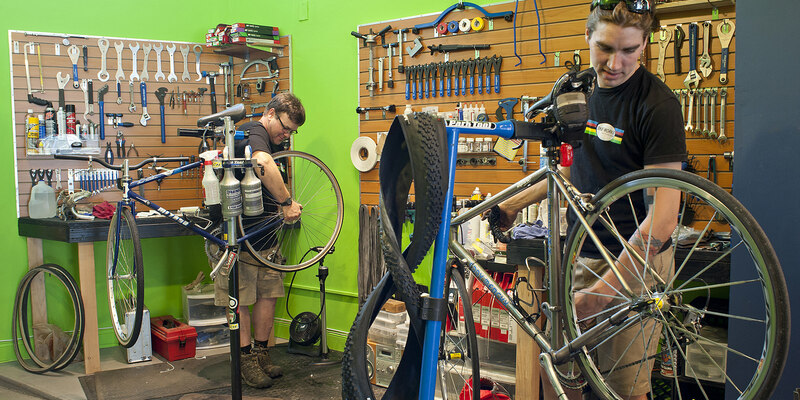 Whether you're a weekend warrior, a canal path master, and everyday communter, or strictly Sunday rider, we are here to fix any type of mechanical problem you might have. It's important that you feel confident in your bike's maintenance to ensure a safe and comfortable ride. 1) No repair will exceed any given estimates without your approval. 2) Appointments are not necessary, but are appreciated and just a call away. 3) We are happy to provide pick up and delivery services. 4) Visit us for free quotes, estimates, and ala carte pricing.